Can it be true? Be still our crazy little hearts! 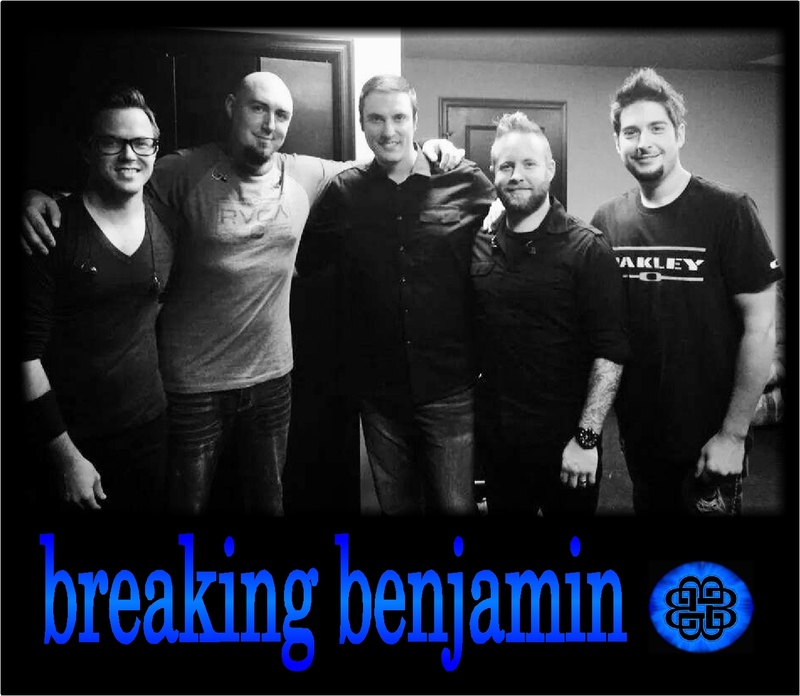 Mr. Burnley is back and hitting the ground running with the band that bears his name: Breaking Benjamin. And he has some friends in tow! One of those friends is none other than Shaun Foist, a drummer whose talent transcends space and time. This guy is the real deal! 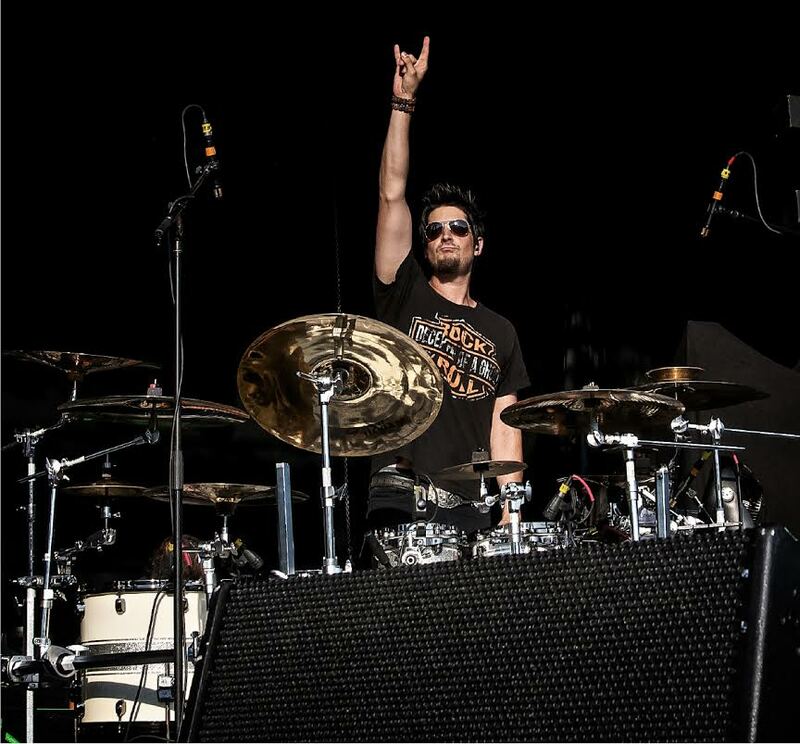 Having played Warped Tour with a band of his own creation, then connecting with Picture Me Broken in 2012 where he performed on some heavily lauded tours, including the Seduce and Destroy Tour (with OTEP and One-Eyed Doll), as well as the Alice Cooper and Marilyn Manson Masters of Madness Tour last summer, the alignment of Shaun’s hard-hitting skills and badassery is gearing up to take the rock world by the balls! RockRevolt sat with Shaun and had an intimate conversation about EVERYTHING that makes him tick, from the blossoming of his burgeoning talents from childhood to his preferences in gear, and his thoughts on where his career is taking him today! 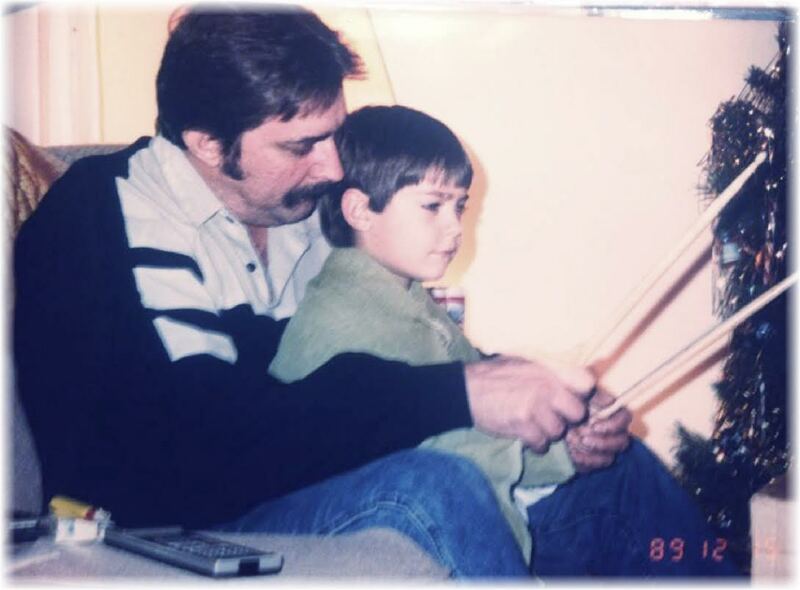 Your father was a great influence for you in getting into drums. He was the one that got you started. Would you mind retelling one of your earliest memories of sitting in on a band rehearsal? What was it about the rehearsal and that experience that put your life on this path? I’ll never forget those days. I’d always get off the school bus on Friday, and rush into the house to ask my dad if he was having band practice. I had only been playing a few months at the time, and I’ll always remember my dad saying, “Jim, why don’t you guys jam “Keep on Rocking in the Free World” with Shaun and let him sit in? So there I went nervous, but excited, and I got up there in my dad’s basement and played that song, and I think it went on for about 15 minutes, solo after solo, and long ridiculous drum fills. I knew right then and there, that’s what I wanted to do. Now that your father has passed on, do you feel that your drumming style will change? My father always taught me to play super relaxed and to just sit back and feel the groove. I did that for many years and then once I started getting into hard rock bands at age 18, I built many bad habits and started being more of a basher. I was told I looked bored. It’s weird you ask this, because now, with Breaking Benjamin, I’m trying to focus on being that laid back, pocket drummer with good groove and not bashing. I’m trying to find the balance of that and being able to be fun to watch at the same time. Your bio reads that during the Summer of 2013, you received rave reviews as the drummer for the opening act on the Alice Cooper / Marilyn Manson Masters of Madness – Shock Therapy nationwide tour. Nowhere does it mention that this band is Picture Me Broken. Is there a reason that the band name is omitted, and if so, would you mind expounding on that/those reasons? On my site, my focus was to talk about ‘my’ reviews vs. the band’s, since I was no longer a member – much in the same way that they never mentioned individual members. It’s no secret that I left PMB right at the end of the Cooper/Manson tour and returned to Ohio. 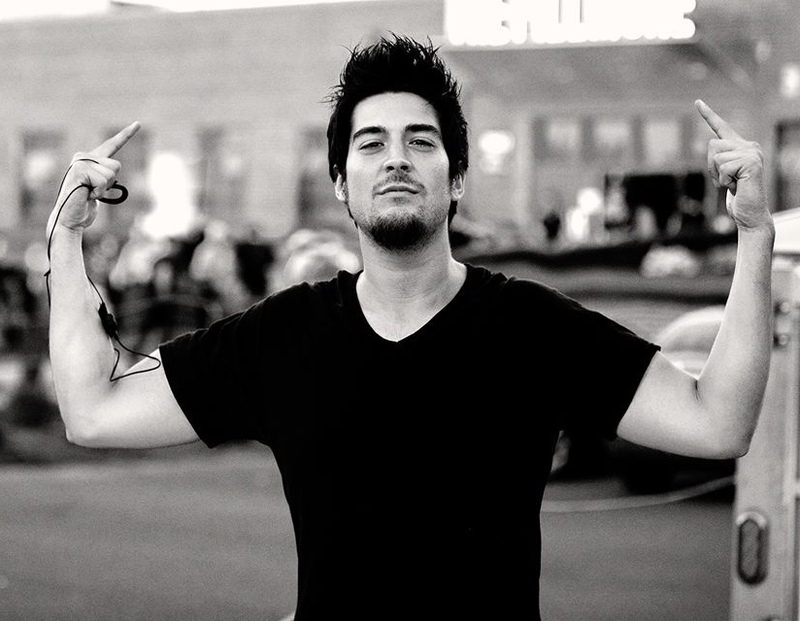 I had already committed to Breaking Benjamin way before that tour even started – it’s just that no one knew it yet. I know PMB is in rebuilding mode right now with only two members (I believe) – and I have always wished them nothing but the best – but it was pretty evident, almost from day one, that we were on different paths, both musically and personally. I was about ten years older than the rest of the members and had lived most of the ‘road life’ that they were just getting into. I was in a much different place in my life than they were. That doesn’t make it right or wrong – it’s just that it wasn’t a long term fit for me. I also don’t think I was a long term fit for them. But for that moment in time, I believe we did some pretty great things. That is the past now. 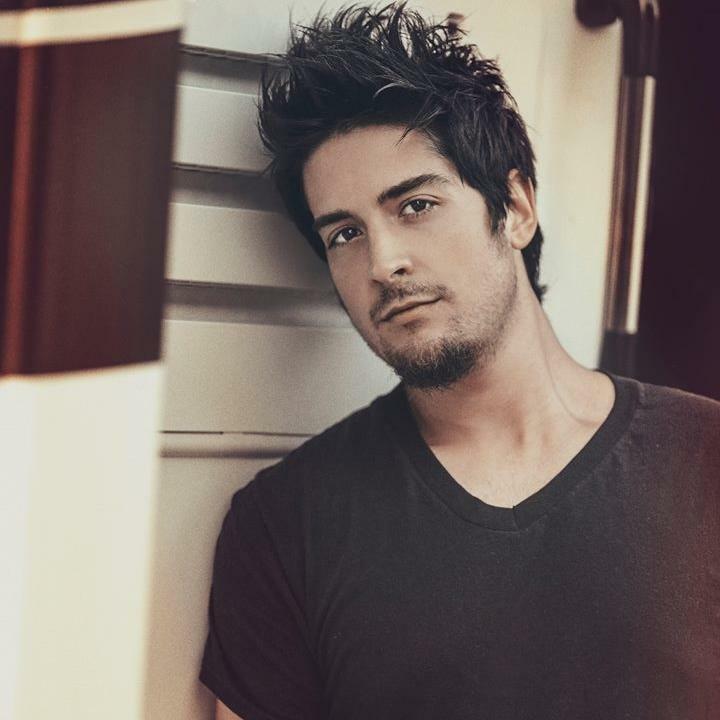 Let’s talk about the very new reincarnation of Breaking Benjamin. Tell us how you came to be their new drummer. Was it a long and drawn out process or was it a Slam Dunk kind of a deal? I was in the middle of working with PMB and I was in Redwood City, CA working for my singer’s step father just trying to make ends meet, because the band wasn’t making money at all. We were about to go on tour with Otep, and I needed the money to survive out there on the road. So here I am working, and one night I was laying around on a Sunday and my phone rang, and it was Dan Korneff, who engineered PMB, and worked on past Breaking Benjamin albums. He told me that Ben Burnley was looking for a drummer and asked if I’d be interested. My heart dropped, and I didn’t know what to say! BB was one of my all time favorite bands, so I asked, “Are you freaking serious?” He told me that he was going to give Ben my number and he would be contacting me. Literally, two minutes later, here’s a Pennsylvania area code popping up on my phone and it was Ben. He asked if I’d be interested in trying out and that he saw my videos on YouTube and liked what he saw. I agreed and he asked me to record myself playing to a few BB tunes, “So Cold”, “Diary of Jane”, and “Natural life”. I scrambled and called my manager Loni Reeder, asking her to get me a spot to record a video. I didn’t tell her what it was for! I didn’t want to jinx myself, and luckily my drums were still in Redwood City, CA, so I packed them up and went and recorded myself playing to the tunes, sent them off, and Ben loved it. We just started talking more and making future plans. Those videos are actually on YouTube, and this is the first time I’ve ever announced they were my audition videos. I loved the songs, I loved playing to the songs, the live show was incredible, and when I got together with Ben on a short vacation after the Otep tour, I knew he was the guy I wanted to be in a band with. It just felt right, and when we played together, it was magic. We would jam and get through a whole song that was made up from scratch just vibing off of each other. That doesn’t happen everyday. What was it about your drumming that made them say, “Oh yes! This guy belongs in our band”? I took the time to listen and learn every little detail, and I cared about the drum parts being played perfectly. Ben appreciated that and he knew he wanted to work with me because I truly cared about BB’s sound and the band has a history of great drummers, so that sound was important to recreate. The band as a whole appears to have a rather interesting history, with lawsuits, and members coming in and out with a frequency greater than the average person changes their underwear in a week. Do you have any hesitation about longevity with Breaking Benjamin? No, not at all. There’s so many reasons that things have happened the way that they have with BB, but if anyone does their homework on the song “Blow Me Away”, it’s not hard to figure out what happened there. What are your greatest expectations from your new Breaking Benjamin gig? Really for me, it’s playing music, and shows, and being happy with zero drama. I’ve been around Ben for over a year now, and we are literally best buds, and the rest of the guys are all great. It’s everything I have ever wanted in a band. What are your greatest fears or apprehensions about working with this band? Not making a mistake live, and winning the fans over. That’s always tough when you are the new kid in town. How do you feel your experience as a drummer with Breaking Benjamin is going to be different than with Picture Me Broken? Now with a newly formed Breaking Benjamin, what is next? Album? Tour? (If there is an album in the works – do you have any hand in the writing process, or is it all from the genius of Benjamin)? I really can’t comment on some of that, we are definitely writing new ideas though and planning to do shows. Benjamin is a pure genius, and he knows what he wants and he has several gold and platinum albums to back it up, but he is the most fair person I’ve ever worked with and he would never turn down a great lyric or song idea. Let’s talk about gear. What kind of kit are you using at the moment? Right now I’m using a Tama Starclassic drumkit, in silver snow racing stripe finish. What kind of wood is it made of and which drum heads do you prefer? It’s a full bubinga shell, and I’m actually still experimenting with different head types (coated, clear, etc) to see what sounds best, but I’m with Evans drumheads, and I love them. What does your warm up routine consist of? It used to be all about a practice pad and getting my hands warm and loosened up. Now, at age 31, my muscles don’t fire as well as they did when I was 20, so it consists of lots of stretching, even a little bit of cardio, and playing for at least 30-45 min to get loosened up. I’m not a guy that sits down and practices rudiments before a show. What kind of sticks do you prefer? Right now, I’m using the Vic Firth 55A model. Where do you find out about new things to try to warm your legs/arms up before a show? I actually talk to other drummers and see what they are doing, and what works for them. I’m always open to new ideas, and techniques. What is your favorite cymbal to use, one that you get such good tones from and versatility? Right now it has to be the 23in Zildjian sweet ride. They made it in a brilliant finish for me, it has a great bell, and it can also be used as a great crash, or even a crescendo. It’s an amazing cymbal. What do you do on stage to refrain from exhaustion if you’re really driving a double bass groove for a long period of time? How do you stay on top of your game? Breathe. That’s the key. If you hold your breath, your muscle contract and they will cramp up instantly. Also, between songs, or a spot where I’m not playing in a song, lots of water. No energy drinks! I learned the hard way, those just dehydrate you and do the reverse effect. Especially when you are playing a long set. I also find that those glucose tabs or “bloks” energy chews are great to have on hand. You are going to (or have already begun) drum clinics. As far as a teaching, have you taught previously? If so, how do you know you are successful and effective as it? I have and currently still teach. My students seem to improve and want to return to me for Further lessons. I also have tons of patience and am willing to do whatever it takes to help a drummer. What do you feel your clinics will offer students that they can’t glean elsewhere? Most likely I’ll be breaking down lots of Breaking Benjamin stuff, even though it has been done before from the previous drummers, but I might even try some hands on stuff, and let the students play, and try to come up with a way to make them have a great time and learn hands on. It’s hard to come up with things that haven’t been done before, but my main focus is to make sure they walk out of the clinic inspired to further themselves as drummers. Here is my final question. Do you feel that you have made it and are living the dream? If not, what is Shaun Foist’s plan to achieve the dream? I do feel like I have. I am very blessed to be doing what I am doing. I also though have other dreams as well that I’m going to try to make come true, one of them being in movies. I’ve been told I’m a great actor and I’d love to give that a shot sometime. Thanks for taking the time to interview me.